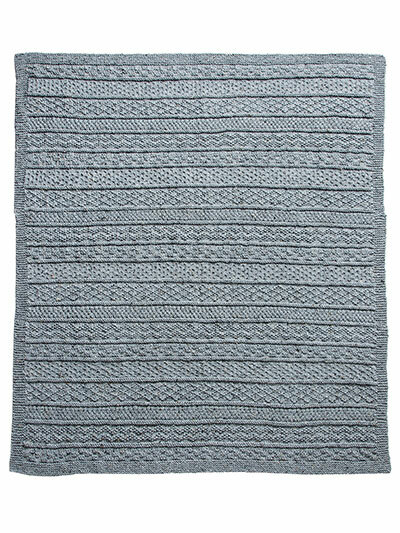 Easy-to-stitch, cozy afghan from Annie’s Signature Designs. Made to mimic the beautiful texture and coziness of an old-time fisherman’s sweater, this gansey afghan will keep you warm through all the chilly months. Knit with 8 skeins of Plymouth Yarn® Encore® Tweed using U.S. size 9/5.5mm 40" circular needle. Finished size is approximately 44" x 50". Pattern includes written and charted instructions. I appreciate having the printed instructions and find this pattern easy and very relaxing for me to knit. Love the design! I am now knitting a 2nd gansey afghan and both will be ready for my dear brother and his dear wife to celebrate their 50th wedding anniversary. I am knitting these identical afghans in Encore Creamy White worsted yarn. Great pattern for great people. I downloaded this pattern. I liked that the pattern had a chart and also written instructions. Also the pattern stitch repeat was given which would make it easy to alter the size of the completed afghan. 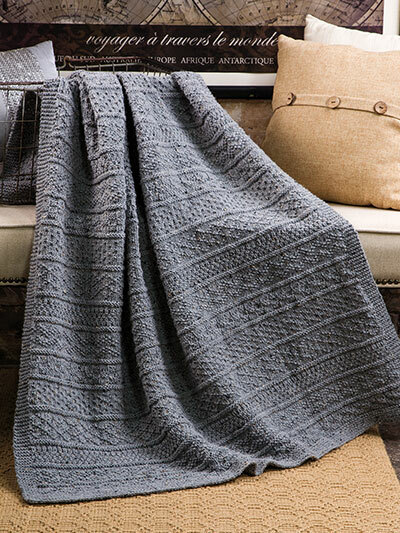 Using this pattern I intend to knit a baby afghan with baby yarn, smaller needles, and fewer stitches. I expect it will turn out as nicely as the Gansey Afghan. I want to thank the pattern makers for adding fully written instructions for this afghan. It's available in the Electronic Pattern Purchase. I did just purchase it. Thank you much for listening to your customers. Not all of us are able to read charts for various reasons... for me, my husband or grandkids have to read the instructions for me because the up and back reading motion makes me dizzy. I have many complicated patterns that are fully written out.... and I wish all pattern makers would take those like me in consideration. Again thank you. I never expected this and it was a delightful surprise! 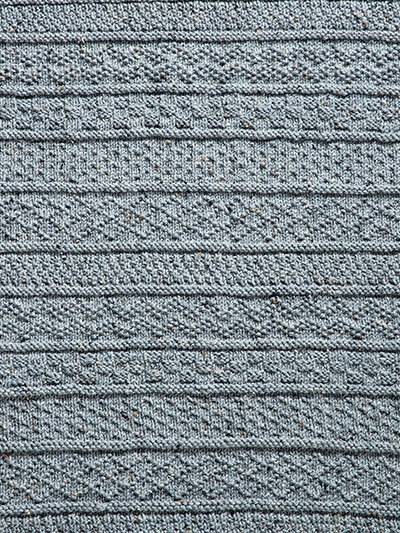 A nice straight-forward pattern with a great result, but not great value for money! !